Lori Sunshine is more than a realtor. She puts her whole self into her role of finding you your perfect home as well as meeting your expectations with selling your home. These two processes can be very time consuming, hard to understand and frustrating. Lori works hard to make her time with you her priority by focusing on the moment, answering all questions with ease, putting her clients concerns first and allowing the client to have input while also sharing her expertise at the same time. Lori was a pleasure to meet up with and always had a smile on. She performed professional open houses and was very good with time management. 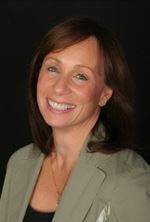 We highly recommend Lori Sunshine to sell your home and help with your purchase. Thank you Lori for helping us buy our first home, five years later selling it and buying our dream home. – GT Centerport.